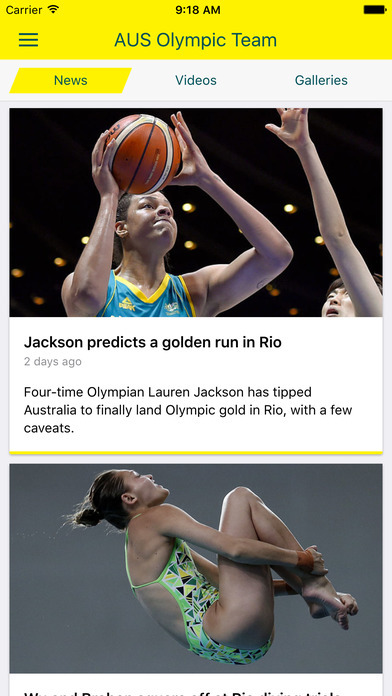 Native Cordova app for iOS and Android. 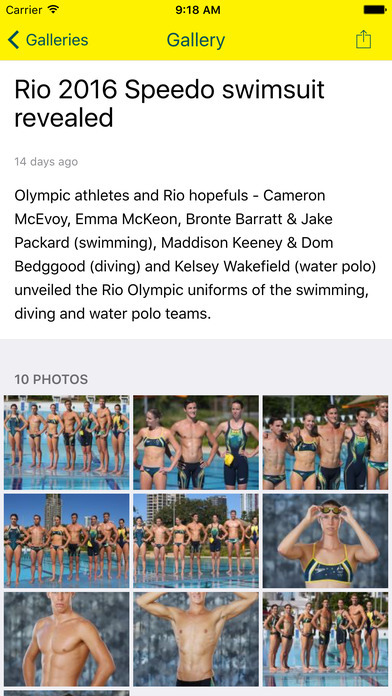 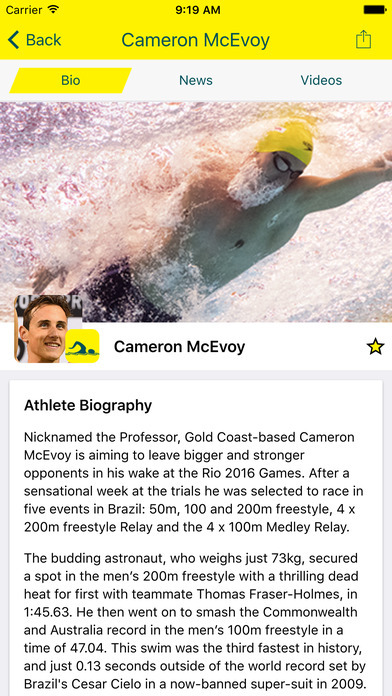 Features: • News: breaking news with push alerts (optional setting) • Athlete Directory: with biographies, news, videos, galleries. 'Favourite' athletes & send fan messages • Schedule & Results: View upcoming events or catch up on past results. 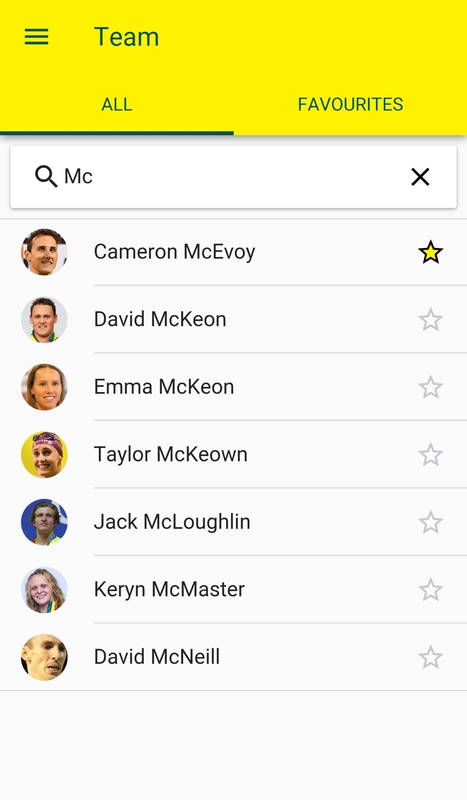 Custom schedule views for athletes, sports and ability to filter by day. 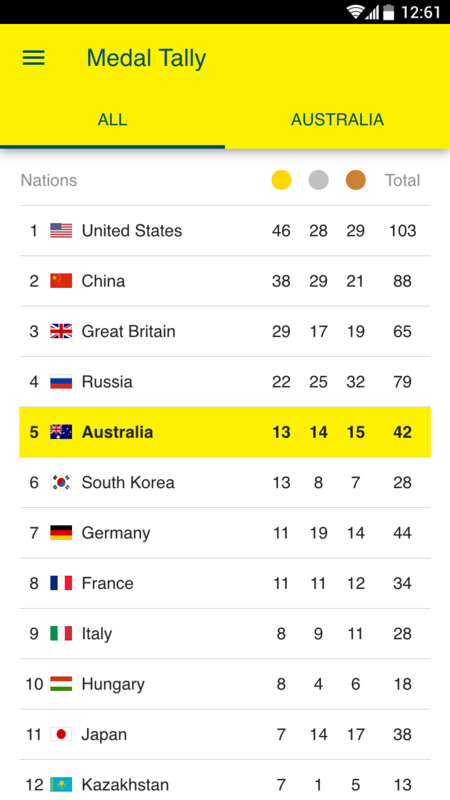 • Medal Tally: real-time data listing Australia's ranking and a full breakdown of Australian medals by athlete. 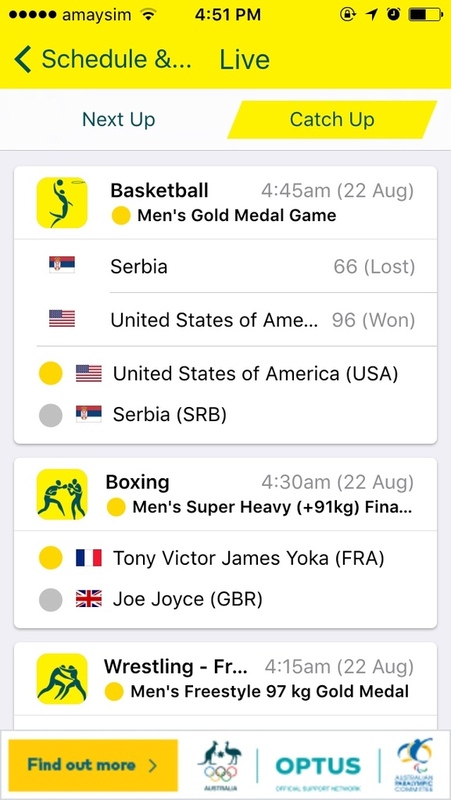 Receive alerts as medals are won.